Submitted by Migrate Wizard on 2014-10-22 11:56. 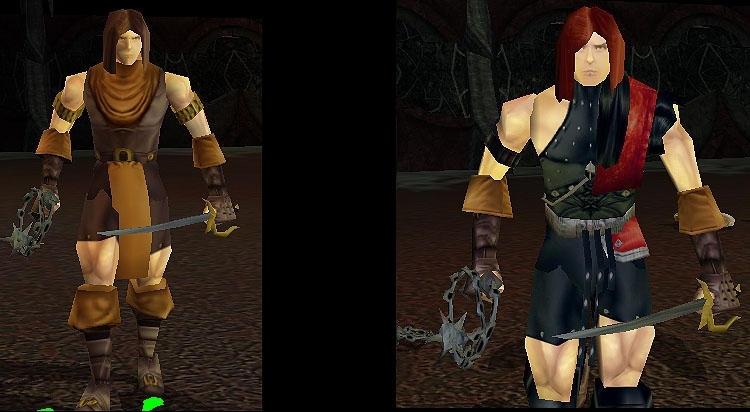 This hak adds two new armors and three 3 heads to create both of Simon Belmont's costume from Konami's Castlevania. Includes the original simon and chronicles design. The new heads and body parts are for thin male humans only. Some of the parts are from Lisa's clothes haks. The heads, gloves, boots and pelvis may also be handy for making other costumes as well.